Township stadium after their one defeat and three wins in the first four matches of the 2015/2016 Nigeria Women Premier League. 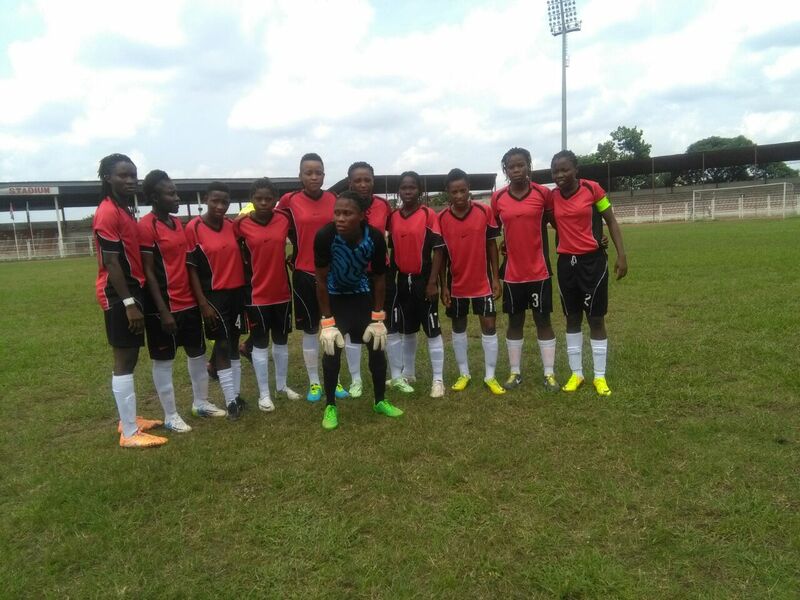 Ogbonda Whyte’s team were kicked out of the women’s federation cup last week by Delta Queens loosing after 4-5 on penalties at the Dan Anyiam Stadium in Owerri and suffered their first league defeat three days later when the lost by two goals to one against Edo Queens in Benin. Ibom Angels, who are 3rd on the log with nine points from four matches, hope to bounce back from their defeat as they chase their third straight win at home this season . Speaking to 234football, Coach Whyte expressed his team’s readiness to secure the maximum points against its visitors in this weekend match. “My team are well prepared. We just finished our training this morning, and everybody is physically fit for the match tommorrow”, Ogbonda said. He maintained that the team’s target of winning the league at the end of the season is still top priority and calls on football fans in the state to support female football. Ogbonda will likely maintain his first team selection going into match against Abia Angels with Lucky Andy in goal. Favour Uzor, Ekaette Akpata, Mary Ologbosere are expected to marshal the defence, while winger Uduakobong Peter, and striker Charity Reuben will lead the attack. Other players like Joan Etenkpa, Unyime Johnson, Eno Umoh, Glory Ogbonna and Emem Essien will be expected to be at their best.